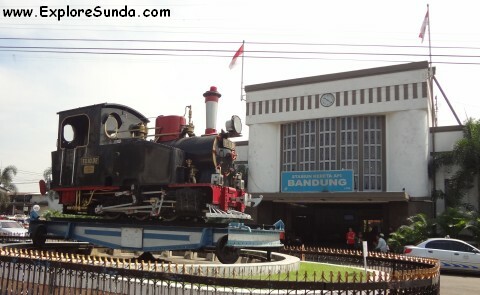 Bandung Travel Guide provides information you need on how to go to Bandung, as well as how to go around the city. Traveling from Jakarta to Bandung is very easy after the opening of Purbaleunyi toll road in 2005. 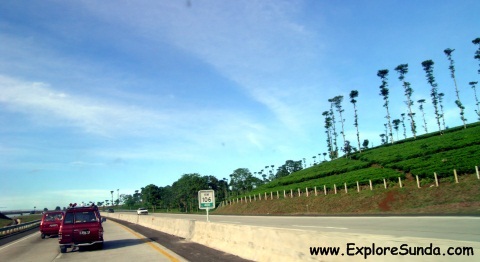 This toll road is part of the longest toll road in Sunda, starting from Merak until Cileunyi. Driving to Bandung, you should take direction to Cikampek. There will be a crossroad on km 66, you should turn left to go to Bandung. The distance between Jakarta and Bandung is approximately 130 km; normally it takes about 2 hours drive. This is the most convenient way if you have your own car. If you want to spend weekend in Bandung, I recommend going on early Saturday morning instead of Friday night, because the traffic is usually heavy on Friday night due to the commuter. On the other hand, if you go on Saturday morning, you can save one night accommodation and there are many beautiful views along the way that you don’t want to miss, especially during rainy season. Perhaps you wonder, why rainy season? Because during that time the fields are all green: the paddy fields, the grass, the tea plantations and the pine forest. Sometimes it is foggy, which enhances its beauty. 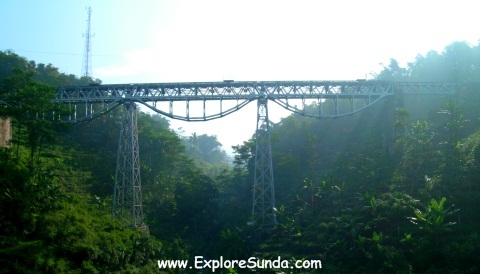 Near km 115 we will pass the classic railway bridge. This is my favorite spot, especially when a train passes it. However, please be careful, since this toll road is passing several mountains and crossing several long bridges. It’s the only toll road I know that is not flat: it keeps going up and down. You need to be extra careful when it’s raining, because it is very difficult to see what lies ahead. There are five entrances to Bandung: Pasteur, Pasirkoja, Kopo, Mohamad Toha and Buah Batu toll gates. You should exit at Pasteur or Pasirkoja if you want to go to downtown and northern Bandung such as Dago or Lembang. You should exit at Kopo or Mohamad Toha if you want to go to southern Bandung visiting towns such as Ciwidey, Patengan and Pangalengan. You exit at Buah Batu if you want to go to eastern Bandung. The last exit is Cileunyi toll gate, which is already outside Bandung. From here you can go to towns such as Sumedang, Cirebon, Garut, Tasikmalaya, as well as Central Java. What if you don’t have any car? Don’t worry, there are many travel companies operated on this route. They use mini buses, which can accommodate up to 8 passengers. Their schedule is every hour and their stations are all over Jakarta, you can easily spot them. Many of them based at Cihampelas street, Bandung. The latest departure from Bandung to Jakarta is served by X-Trans at 10pm! If you are not in a hurry, you can drive from Jakarta to Bandung via Jagorawi toll road, exit at Ciawi. Here you will pass beautiful sceneries of tea plantations at Puncak Pass, presidential palace at Cipanas, then drive through Cianjur, and Padalarang. At the crossroad in Padalarang you can choose to enter the toll road to Bandung or take the regular road via Cimahi to Bandung. Usually many people from Jakarta spend weekends in Puncak and Cipanas, resulted in congestion everywhere. Therefore, I suggest you to avoid going through here on Saturday morning or during long weekend. Alternatively, you can take a train from Gambir Railway Station. The train was once very popular transportation, because normally it only took approx. 3 hours from downtown Bandung to downtown Jakarta. Nowadays people prefer to use the mini buses due to its convenience. Nevertheless, there are some scenic views that can only be seen from the train. 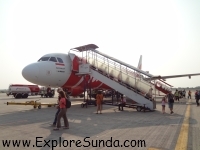 If you come from abroad, you can take flights to Jakarta landing at The Soekarno Hatta International Airport. There are travel mini buses that serve from the airport directly to Bandung, the same travel operator with the above. Alternatively, you can take flights from Singapore or Kuala Lumpur directly to Bandung, landing at Husein Sastranegara International Airport. In addition, there are several airlines offering flights from Bandung to other cities such as Jakarta, Surabaya, Batam, Denpasar, and Jogjakarta. Unfortunately the public transportation in Bandung is a bit confusing and the drivers can’t speak English. It’s better for you to take a taxi, but please be cautious. Some taxis are not in good condition, the interior is dirty, the air conditioner and taximeter are broken. When the taximeter is broken the driver will offer you a price to take you to the destination and you will end up paying more than double what you should pay. I recommend you to use BlueBird (phone 022-7561234), Cipaganti (phone 022-70070000), Gemah Ripah (phone 022-4217070) or Putra Taxi. Their cars are clean and the drivers are obliged to use taximeter. So, are you ready to go to Bandung? Bandung Travel Guide will help you along the way.